Walls and windows don’t come much more colourful than those surrounding me on this Mediterranean-view terrace in Tangier, Morocco. The vibrant pink paint reflects a juicy hue across the black and yellow tiles, and light bounces enthusiastically through the lime, canola and cornflower panes. I’m sitting at a little round table, with red and green mosaic tiles, on an iron-lace chair with a red and white striped cushion. In my hand, a glittery gold tumbler holds fragrant mint tea that tastes as fresh as it looks. I feel a little regal, a little rich, with all this colour around me. Echoing from the cool concrete walls are the guttural Arabic tones of men sharing tea and sunflower seeds as they escape the afternoon heat. The call to prayer is ringing between the city walls again, reminding me of the slowly fading day, the passing of this sense-livening experience. 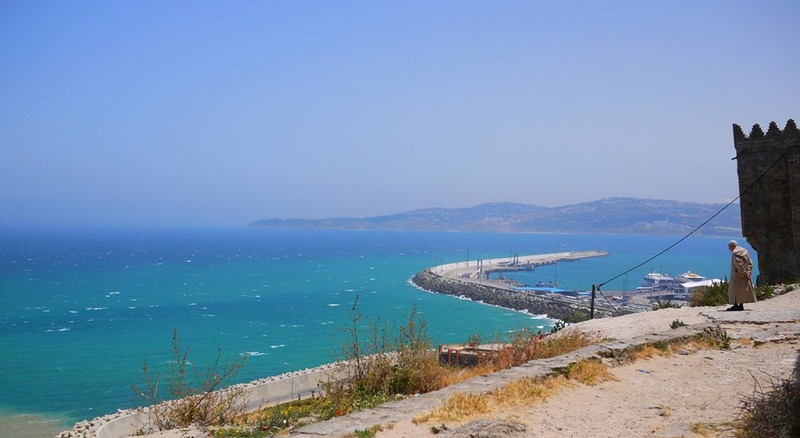 Arriving from Spain by ferry, Tangier offers my first impressions of Morocco, as it has done for millions of other visitors over the years. 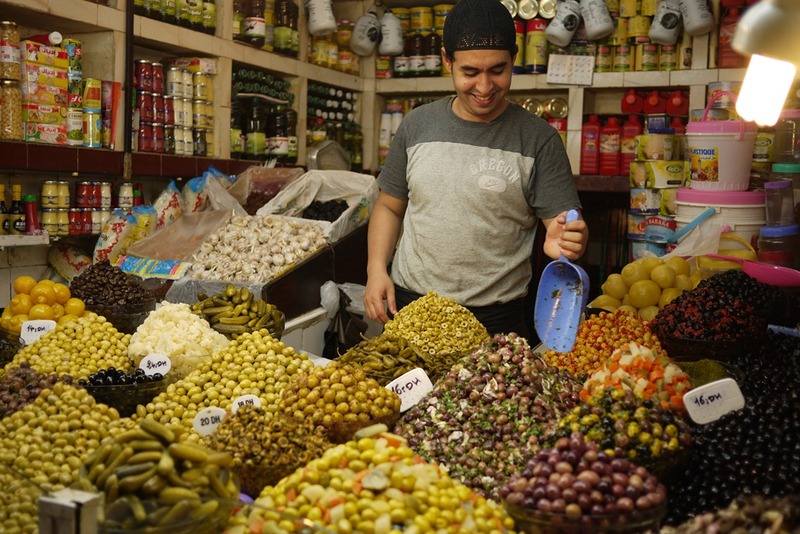 The sights, sounds, tastes remind me vaguely of my Turkish, Syrian and Jordanian adventures, but there is a lovely African flavour that makes Morocco feel more exotic, more intense, writhing with life. Before the sun rose into a blistering heat, I set off to explore the Medina, an ancient labyrinth-like suburb that is thick with cultural delights. I found parking attendants who guide drivers into parks and then wash their car. I met vendors who call out in multiple tongues, willing you to turn your head in recognition. I watched old men stand, hands behind backs, gazing out to the intercontinental haze as the bright blue waters clashed with their stark-white clothes. I listened to teens in a park play traditional music as they danced in the daylight. 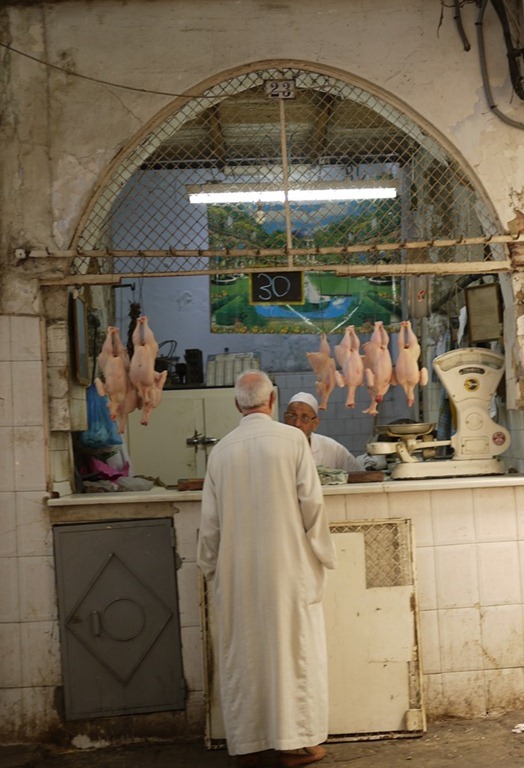 I ate spice-coated olives at a local market and walked by stalls selling chicken, freshly plucked and fleshy-pale. But my favourite find of my medina wanderings was a little white-washed cafe just outside the Kazbar Museum. 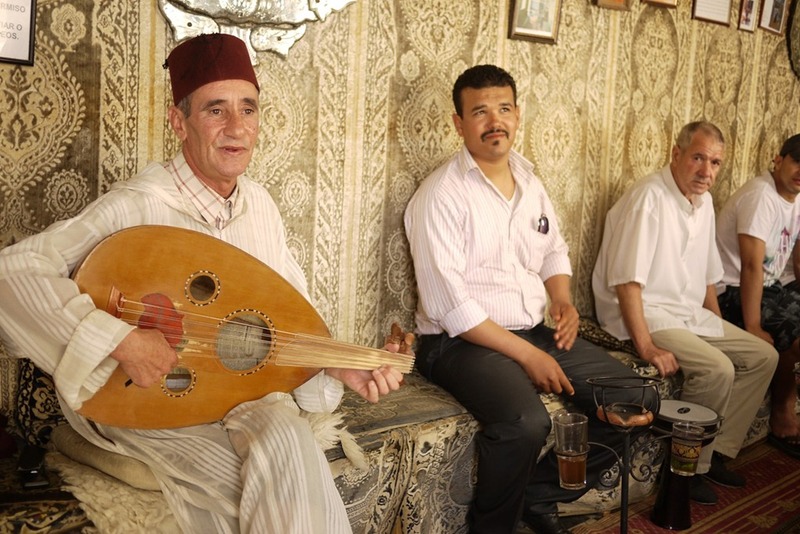 It was there that I drank mint tea next to a sleeping cat and listened to local men play local music with oud and drum. It is handy to have a hotel booked when you arrive, just so you can complete the ‘address’ section on the border entry form and confidently escape the persistent touts who flock to stations, ports, terminals and ranks to tell you that their hotel is the only one available in the city. I stayed in the grand but weary Hotel Continental, which used to be the celebrity hotel of choice in its heyday. 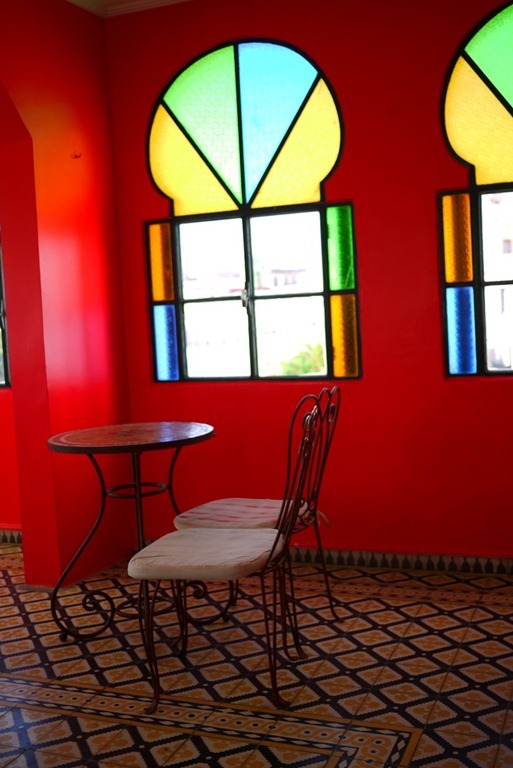 It has charming staff, Mediterranean views and is right next to the medina and Kazbar. Pack your sense of humour in generous measure. This is a city that can test your patience, with hotelliers, vendors, touts, scouts and nosey locals calling at you as you walk the streets. If you are not interested in their wares or pitch, I’ve found the best response is just to smile, politely say no (or la shukran in Arabic) repeatedly and don’t hesitate in your step. Most people are harmless and just doing business the way they think is best, they may follow you for a couple of blocks with their best hard sell, but eventually they will fall away and try their spiel on someone else. If you are catching the ferry from Spain, check which ports you are going to and from. The ferry from Algerciras took about 1 hour and dropped us at the ‘new’ port, about an hour from the city. There is an information point there for maps, a Europecar office and a free bus that takes passengers to the main bus station in Tangier. There are lots of taxis there at the bus station (use the tan ones and negotiate the price before you get in) or you can walk to the old town in 30 minutes. Make sure you keep your ferry ticket so you can use the bus. There is also a port in the city centre accepting ferries from other places. 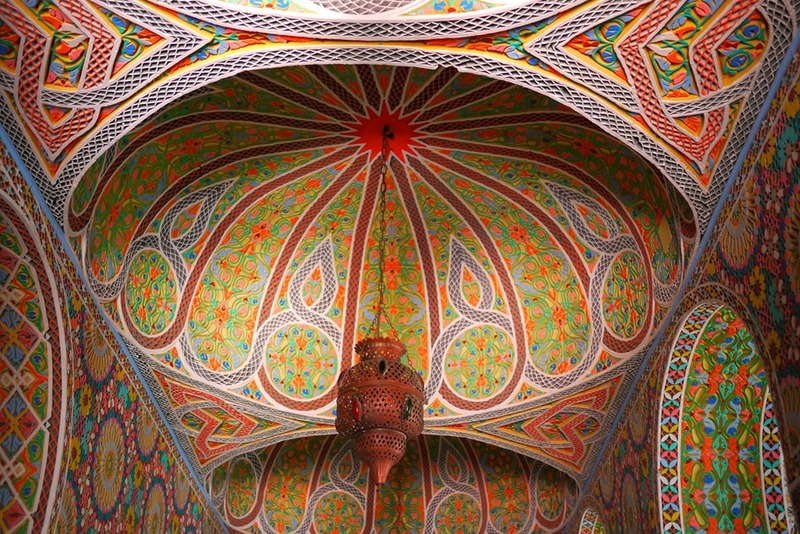 Visit the Kazbar Museum for a wonderful photographic exhibition. 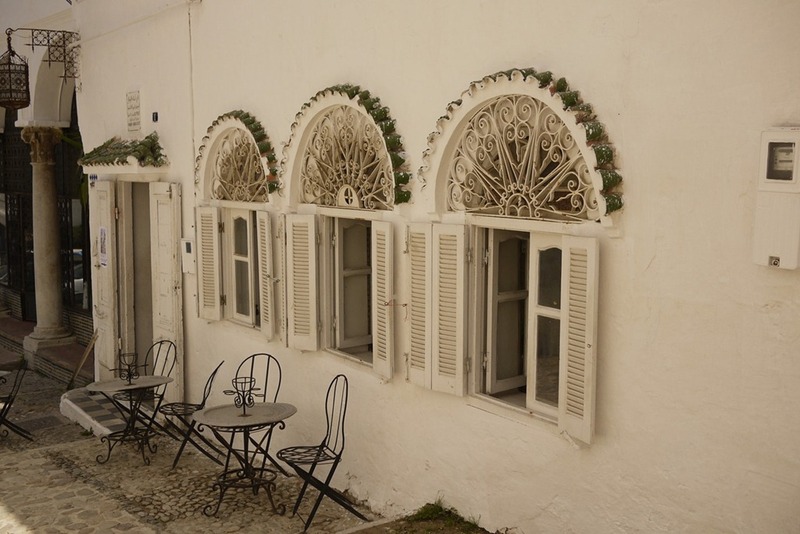 Entry is 20 Dirham and for that you get to see old photos, film and documentaries of Morocco (mostly black and white), as well as modern art pieces, a few ancient artefacts and a lovely terrace garden. beautiful … I wish I could go to Morocco too. Great post. We live in Tarifa, just a half hour away by ferry. I knew you’d stayed in the Continental before I’d read it because I’d recognise those insanely ornate ceilings anywhere, and I do believe I’ve stood in front of that same olive stall. Lots of people hate Tangier because they can’t, or won’t,tolerate the touts and constant approaches. I love it though. Thanks! I had heard such terrible things about Tangier but I loved my couple of days there. I met lovely locals, wandered interesting streets and thought the city had a lot of honesty and character. The touts can be a hassle, but just smiling and saying no seems to do the trick. I’ve encountered far worse touts in my travels. Thanks for reading! I think you’d love it – refreshing and a little sweet! Thanks for sharing the journey with me. Very nice blog! 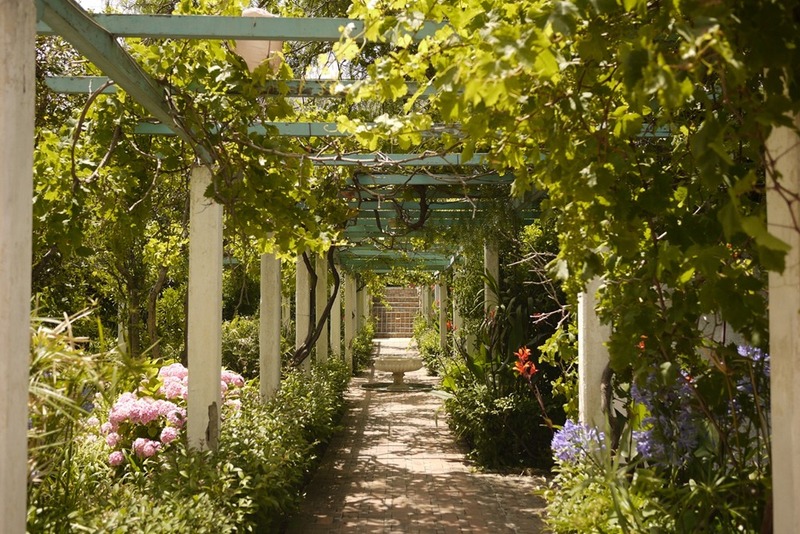 I went to Tangier ten years ago and it is fantastic to read about it and remember a nice time we had. Thank you. Ok, you’ve sold me on Tangier. Anywhere that I can arrive by ferry and that looks like this can’t be all bad. I was quite pleasantly surprised Jo. The touts are a bit annoying, but it is a pretty and interesting place.